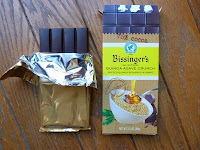 I enjoyed this "puffed quinoa splashed in agave" dark chocolate bar from Bissinger's (St. Louis, MO). 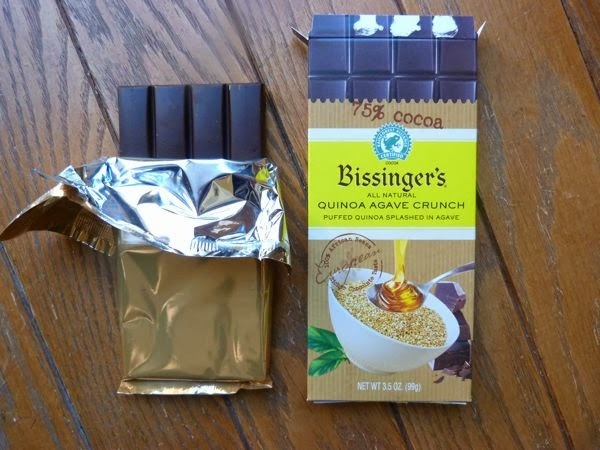 It lacked the faintly bitter* taste present in some quinoa offerings; and it was a perfect blend of dark, sweet flavors and crunchy texture. 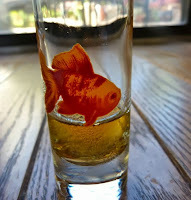 *Quinoa (seeds) are naturally coated with saponin, a bitter substance that helps deter insect pests. This coating is generally removed with light processing.